Change is only 50 minutes away! 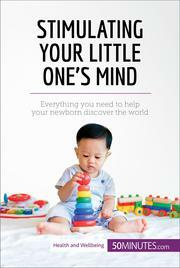 Find out everything you need to know about your baby’s development with this straightforward guide. The first few months of your baby’s life are an exciting time: your little one has a whole world to discover and is rapidly picking up new skills. As a parent, you can support them through this crucial phase by stimulating their senses, helping them to develop their motor and intellectual capacities and encouraging them to interact with the people and objects around them.